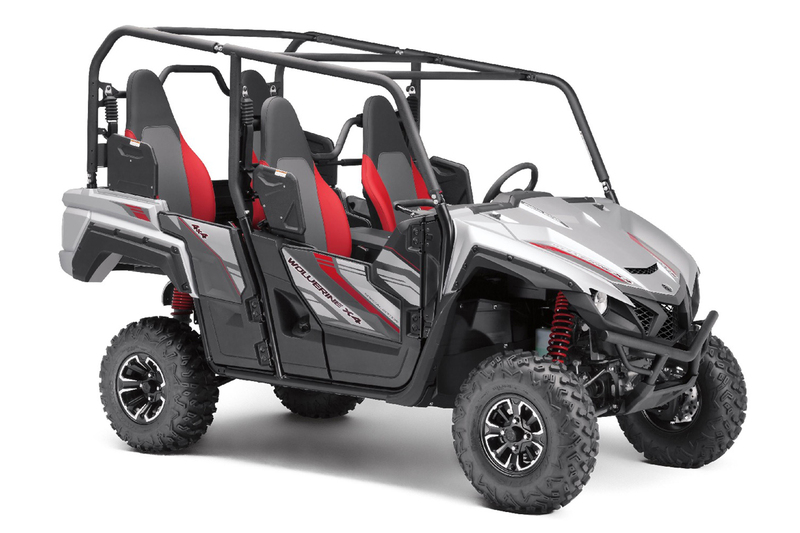 Yamaha Motor Co., Ltd. (Tokyo:7272) announced today that it will launch the new Wolverine X4 ROV (Recreational Off-highway Vehicle) in North America and other markets from September 2017. ROVs are key products in the RV1 business segment, and, featuring a newly-developed 2-cylinder engine, this new model for recreational use achieves both off-road performance and comfort. Manufacturing will be carried out by U.S. Group company Yamaha Motor Manufacturing Corporation of America (YMMC). Following on from the 2-seater Wolverine recreational model launched in 2015, the Wolverine X4 features two rows of two seats to create a 4-seater model. The ROV’s main features include 1) comfortable performance thanks to the quietness, smoothness, and low vibration of the newly-developed 847cm3 2-cylinder engine which also has the power for off-road driving with four people aboard, 2) a slim, compact body and nimble handling ideal for off-road performance, and 3) versatile rear seats, in which the seat cushion can be folded upward and the seat back slid forward to expand the available luggage space. The Wolverine X4 is Yamaha Motor’s sixth ROV model since the launch of the initial VIKING in 2013, building a model lineup which caters to a range of customer needs including a varying number of occupants across commercial, recreational, and sports applications. Yamaha Motor plans further new product launches in order to continue expanding sales in the future.